2. Since 1974, McColly Real Estate has endured and grown in every market condition. 6. Technology-enabled marketing – we’re constantly staying ahead of the competition! 10. Each Associate has their own GPS enabled real estate app. “We’re Global. We’re Local,” is our motto!  McColly Real Estate is a proud member of the Leading Real Estate Companies of the World® network. Whether consumers are looking for real estate locally or internationally, we have the resources to find their next home. Sellers love our marketing because McColly listings display on 550+ websites around the globe.